Order Scottish grown heather online from Galloway Heathers, suppliers of heather plants grown in Scotland. Heathers give you all year round colour in your gardens. They are amazingly easy to grow and easy to keep. They will give you great ground cover, which will keep the weeds down. 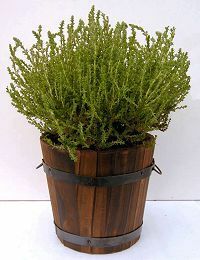 Choose from a range of these very hardy plants some of which were originally grown in the Scottish moorlands and glens. They can withstand most climatic conditions! Now you can buy them direct from one of Scotland's best-known grower. 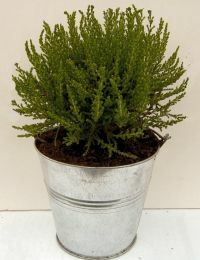 Galloway Heathers are based in the Dumfries and Galloway area, a country area with an abundance of moor lands and hills, ideal for bringing on these colourful year round plants. Our heathers are raised to stay fresh, they will last for a good 10 years or so. It is also no bad thing to be buying from north of you. Hardier climates make hardier plants. Take a browse through the site and look at the range of colours. There are an unbelievable 140 different varieties to choose from so your garden will always be unique to you. We are always adding newer varieties. Make it easy on yourself. Buy heathers online and they will be delivered to your door. Just think, no carrying, no mess in the back of the car, just your heathers where and when you want them. They can be delivered throughout the UK, every day of every week. Wherever you plant them, in your garden, in tubs on your patio, in window boxes, Galloway Heathers always bring pleasure and differing colours all year round. Heathers should be planted in a position where it will be in sun for all or most of the day and, if possible, facing south. Planting on dry sites or under trees should be avoided. All our stock is grown in the open, producing sturdier plants and enabling the coloured-foliage varieties to develop their true colours. 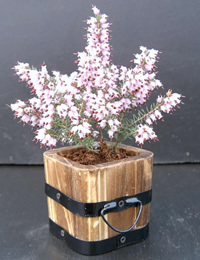 We currently stock over 140 varieties of heather plant. At our garden centre in Newton Stewart we sell a large selection of plants to cater for most gardeners needs such as alpines, bedding plants and patio plants (in season), heathers, herbs, herbaceous, roses, shrubs, trees and fruit trees. We also supply pots, bowls and planters, peat, composts and greenhouses. We are a member of the Horticultural Trades Association. The heather plant nursery is located at the small village of Carty just 3 miles south of Newton Stewart on the A714, close to the River Cree. 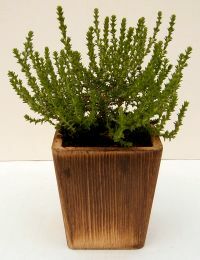 Our latest product consists of small heathers planted in various containers. These are ideal used as table decoration for functions such as weddings, corporate events, Burn's Suppers etc. A live and lasting memento of a special occasion.